Knowledge Deficit related to lack of information about the disease process and self-care. Clients understand the disease process and treatment. 1. Assess readiness and barriers to learning, including people nearby. 2. Apply and indicate normal blood pressure limits, explain about hypertension and its effect on the heart, blood vessels, kidneys and brain. 3. Avoid saying normal blood pressure and use the term "well-controlled" when describing the patient's blood pressure patient's blood pressure within normal limits. 1. Misconceptions and disprove the diagnosis because of the feeling of well-being has long enjoyed affect the interests of patients and / significant other to study the disease, progression, and prognosis, if the patient does not accept the reality that requires treatment continue, then the behavior changes will not be retained. 2. 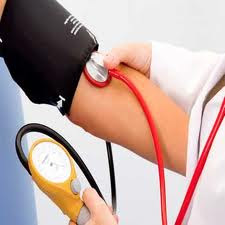 Provide a basis for understanding the increase in blood pressure and clarify medical terms that are often used, understanding that high blood pressure can occur without symptoms is to allow patients to continue treatment even if you feel healthy. 3. Because treatment for hypertensive patients is through life, then by delivering the idea of ​​"control" will help patients to understand the need for continuing treatment / medication.